OMG Posters! 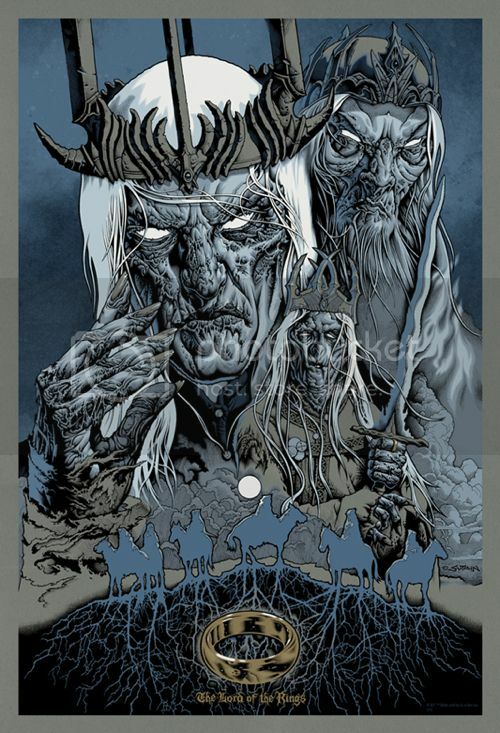 » Archive Lord of the Rings Prints by Paolo Rivera and Mike Sutfin from Mondo (Onsale Info) - OMG Posters! 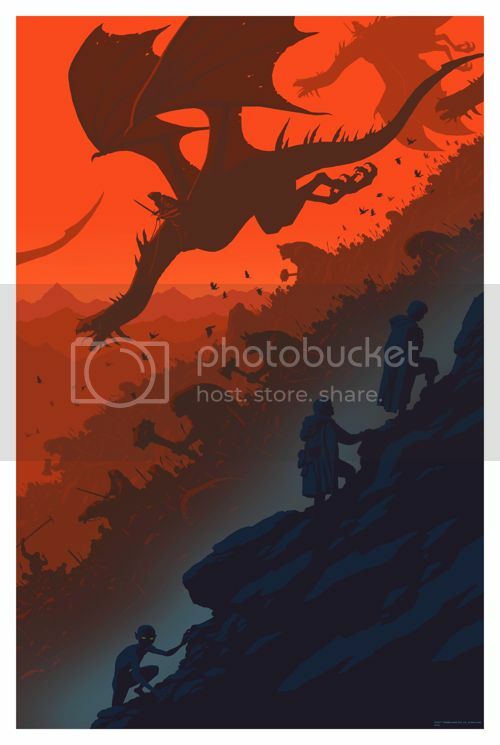 Mondo will release two new Lord of the Rings prints today. Paolo Rivera’s “Precious Cargo” is a 24″ x 36″ screenprint, has an edition of 330, and will cost $50. 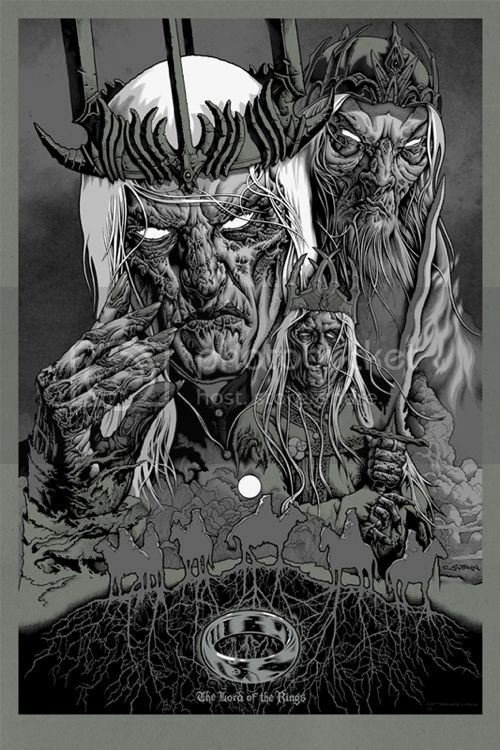 Mike Sutfin’s “Servants of Sauron” is a 24″ x 36″ screenprint, has an edition of 285, and will cost $50. The variant has an edition of 155 and will cost $75. They go up today (Thursday, January 24th) at a random time. Visti Mondotees.com. I love that Rivera. Drop these quick so I can buy one. Love love love seeing “other” artists from mondo. Precious cargo is a gem. Love to see more Suftin Mondo posters, really liked his Blade II posters a while back and these are excellent as well.